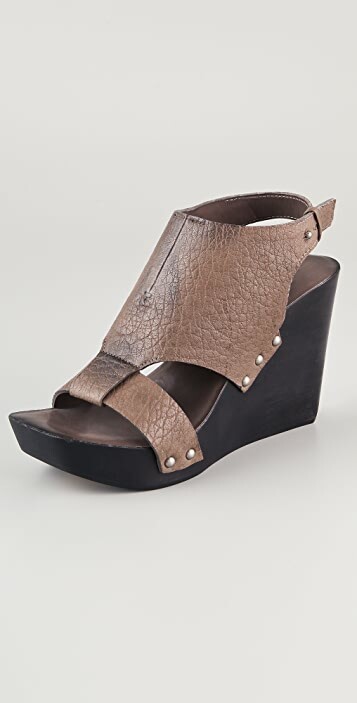 These leather wedge sandals feature a button closure at the ankle strap. 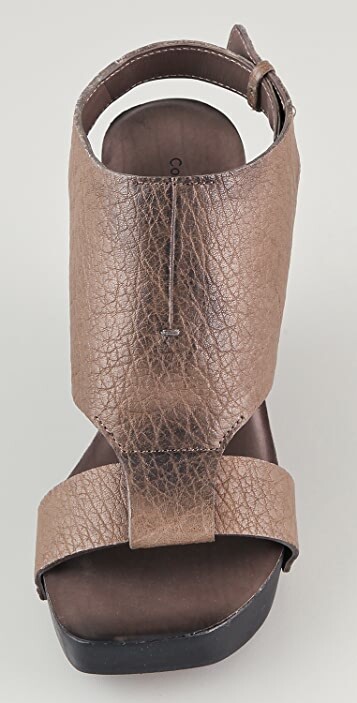 Studded details at sidewall. 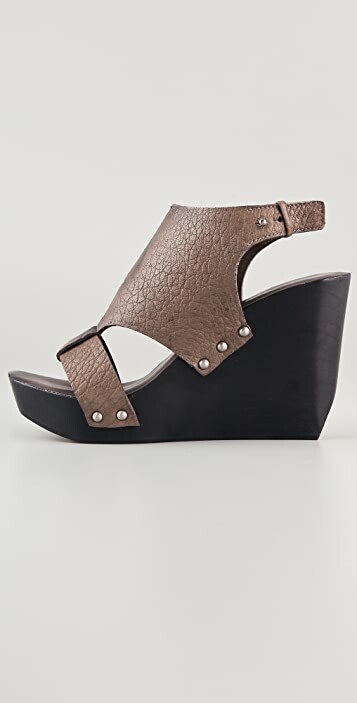 Wooden platform and wedge heel. 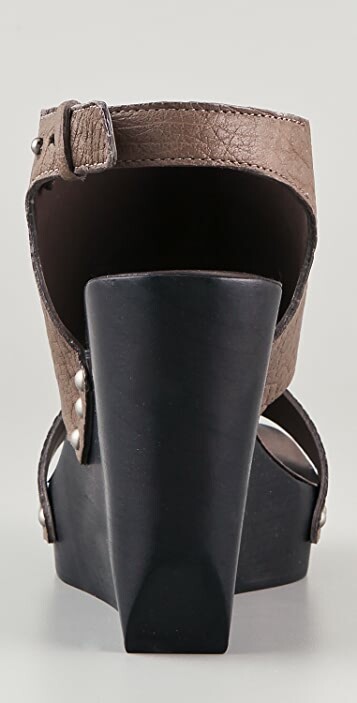 Padded footbed and wooden sole.